To the rear of the Philadelphia Museum of Art is a sculpture garden. There are many fountains and sculptures, including this fountain depicting Hippocampi. 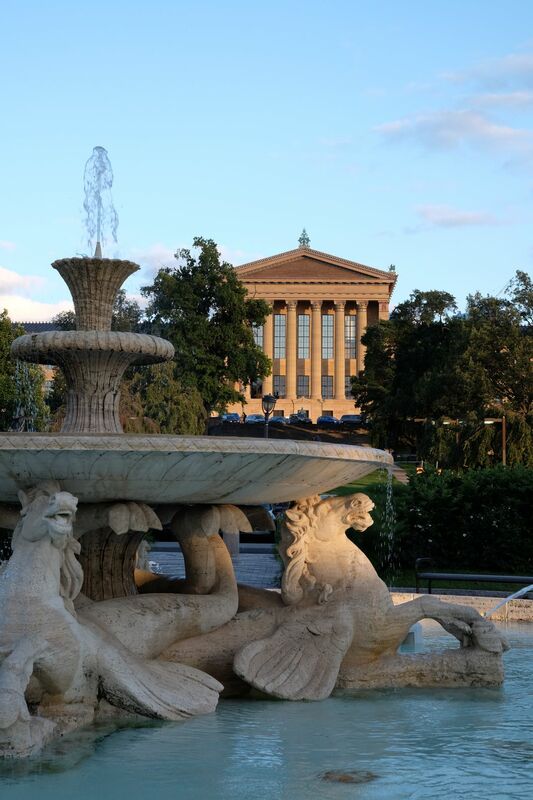 In the background is the rear of the Philadelphia Museum of Art. Date Uploaded: Nov. 28, 2017, 9:10 p.m.